Hello you lovely lot, welcome to this weeks Read With Me. This will be the last one of 2016 as I'm going to try and take some time off from blogging over the next couple of weeks so that I can enjoy all of the upcoming Christmas festivities with my children. Before I go a couple of book recommendations. First up a new/old release from one of my favourtie authors Tijan. Home Tears is a re-edit of an original book that the author wrote a few years ago but never got published. Second book I'd like to share with you is a nice Christmas themed one in the shape of The Girl Who Saved Christmas by Matt Haig, ok predominantly a piece of kid literature but adults can definitely enjoy this too. My favourite post from last weeks link up came from Story Snug with her Christmas book alphabet, a great idea for this time of year. Now time for this weeks link up. 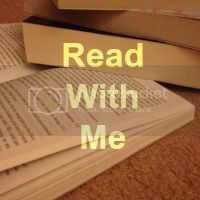 If you are new here do take a look at the Read With Me page. Regulars get linking (max of 2 posts/videos), commenting is always appreciated and perhaps you could link back or display my badge. Thank you for mentioning Story Snug. I've had great fun putting together our Christmas Advent Calendar and very much appreciate people suggesting books for each letter. Glad you're taking a break over Christmas. Everyone needs to do that from time to time!